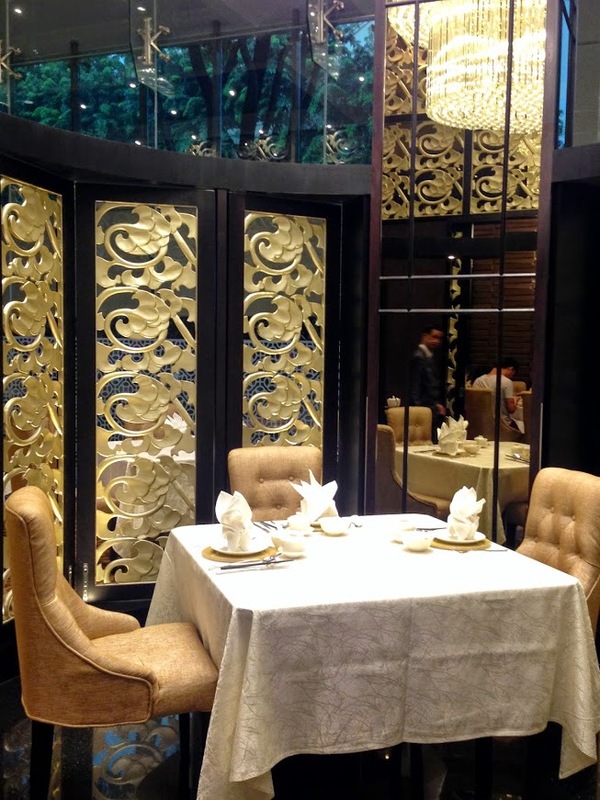 Cantonese fine-dining restaurant Royal Pavillion at Park Regis Hotel Singapore ushers in the lunar new year with an array of Chinese New Year dishes that are created by the brand’s Director of Kitchen & Operations, Mr Ray Tso, from Hong Kong. 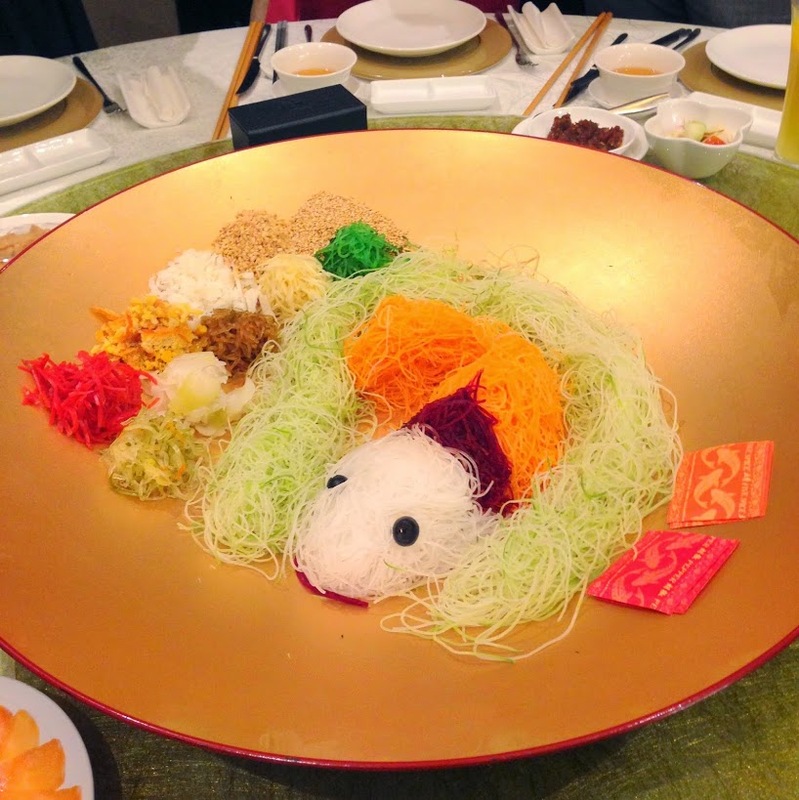 Arranged like a fish in a beautiful golden bowl, the Yu Sheng (S$68/$88++) may not be as extravagant as most fine-dining restaurants these days but all the necessary ingredients playing their roles dutifully. This dish stayed true to tradition, with plenty of fresh crisp golden crackers as well as a sweet-tangy apple and plum sauce. Since this is the Year of Goat, Royal Pavillion has introduced this ingenious lamb dish for CNY. 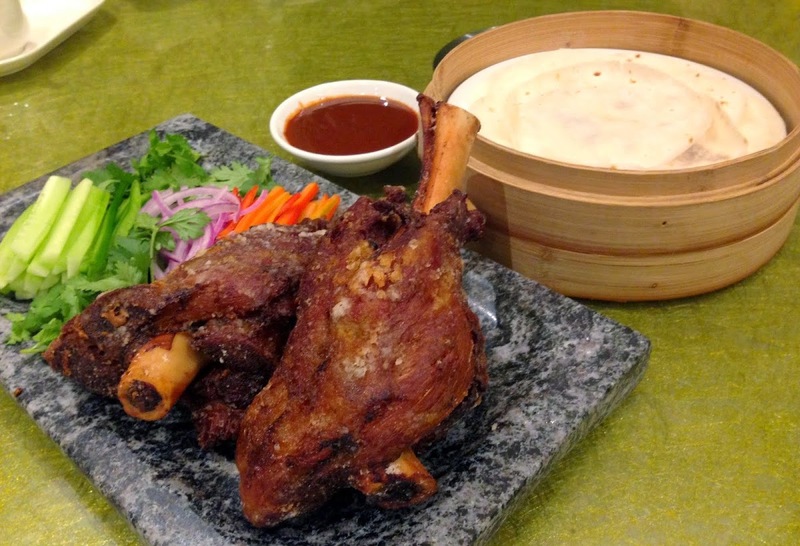 The Royal Fried Lamb Shank (S$48++ for up to 4 guests) seemed like a cross-fertilization between German Deep Fried Pork Knuckles and Beijing Roasted Duck. Wrapped in a traditional crepe with red-green pepper, spring onions and hoisin sauce, the shredded lamb had some nice crispiness depending on the parts you get, without the awful gamey taste. However, some expressed that the meat was too dry and did not spark any excitement in them. 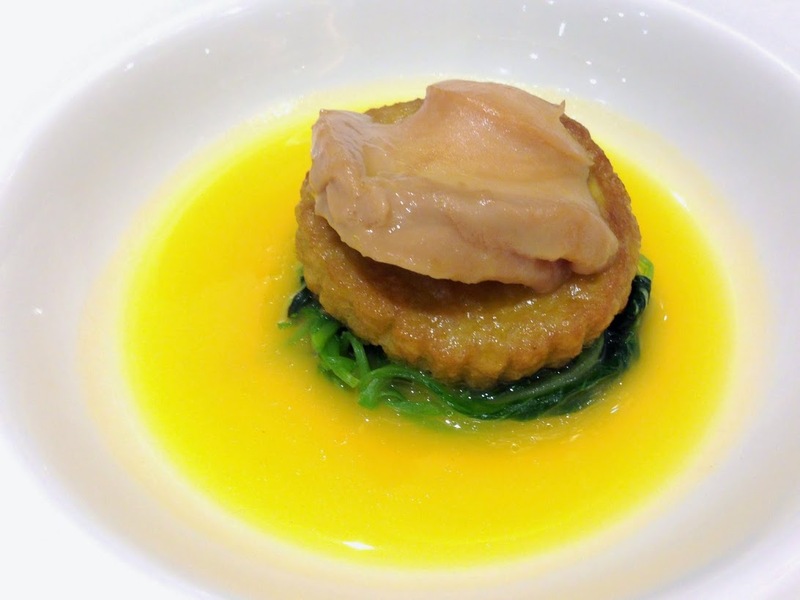 I felt like a member of the Imperial Chinese family when I was served this elegant plate of Braised 4-head South African Abalone with Superior Pumpkin Broth (S$68++ per serving). The idea of a golden soup base worked out nicely as it added a deluxe touch to the delicate handmade tofu, cooked spinach and tender prized shellfish. A pity that the sweetness of the pumpkin is masked by the intense chicken flavor. Voted as one of the Top 10 dishes of the Year by Zao Bao last year, this Royal Smoked Duck ($35/$68) truly deserved the royal spot in the hall of fame because the meat is simply delectably tender and flavorful. What wins further respect was the fact that the 4-5 month young duckling had only been smoked for 45 minutes with lychee wood but achieved such a remarkable distinction between the layers of fat tissues and paper-thin crispy skin. It's already a winning stand-alone dish without the sweet plum dipping sauce! Not many people would be used to having sweet components in glutinous rice but this dish reminded me of how the Japanese often cooked their rice with chestnuts and red beans. 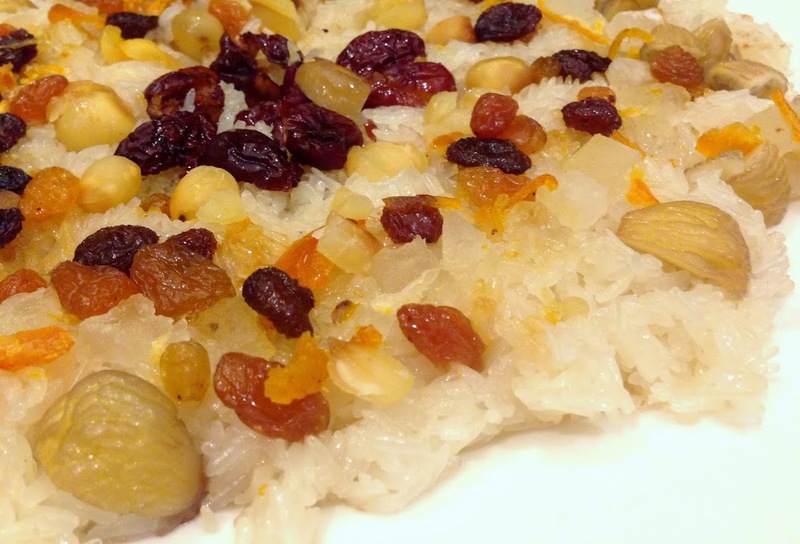 Representing "tuan yuan" which means reunion in mandarin, the chewy Pan Fried Eight Treasure Glutinous Rice was scattered with plenty of sweet goodies including dried orange peel, red dates, candied winter melon, chestnuts, golden raisins and lotus seeds. Yet, it was not too sweet and the rice retained a subtle firm bite with an aromatic crust at the base. The dish came with some pink sugar granules instead of the original brown sugar as written on the menu, which could have been a more suitable sweetener with its mild molasses flavor. 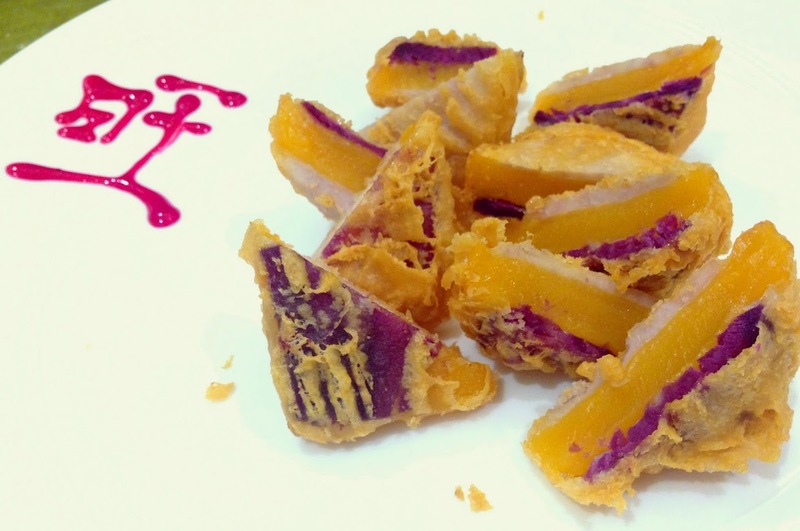 Made with Japanese purple sweet potato, pumpkin and yam, this 3-in-1 auspicious cake delivered the second round of gourmet moment when everything melded together aesthetically; light and airy crispy batter, with a touch of savory that enhanced the natural sweetness. 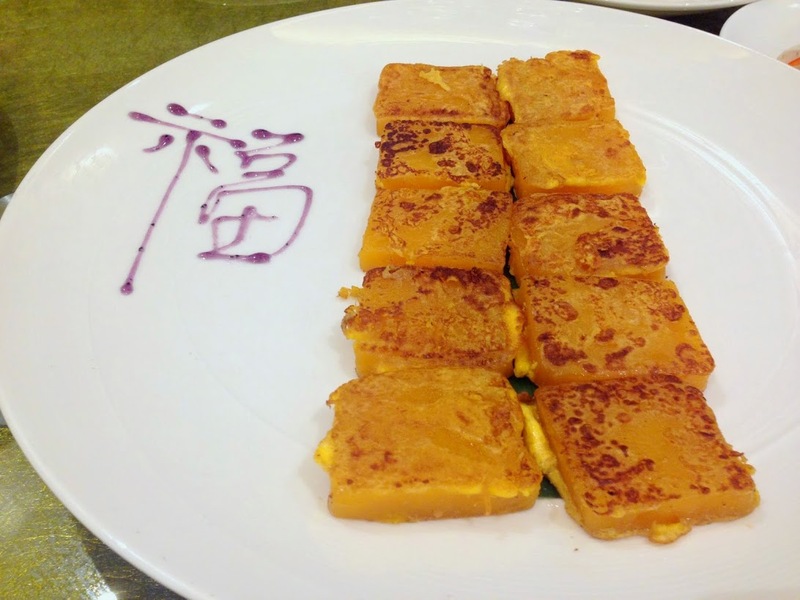 There are so many ways that can go wrong when nian gao are served as desserts; too starchy, sticky, greasy, sweet, etc, but the Pumpkin Nian Gao (S$18++ for 10 to 12 guests) managed to steer clear away from them. Coated in beaten eggs before being pan fried, each square sliced to perfect thickness is chewy but does not stuck to your teeth, with a light whiff of egg fragrance that lingers on. Though this is the first year that Royal Pavilion is launching its Chinese New Year creations, the dishes are donned with a touch of elegance and prosperity that marked a good start to the future CNY creations. They are available from 9 February to 5 March 2015. Prices start from S$5.80++ for ala carte dine-in creations and S$18+ for takeaways. It looks like Chinese New Year in Singapore will not be lacking on delicious, interesting food! 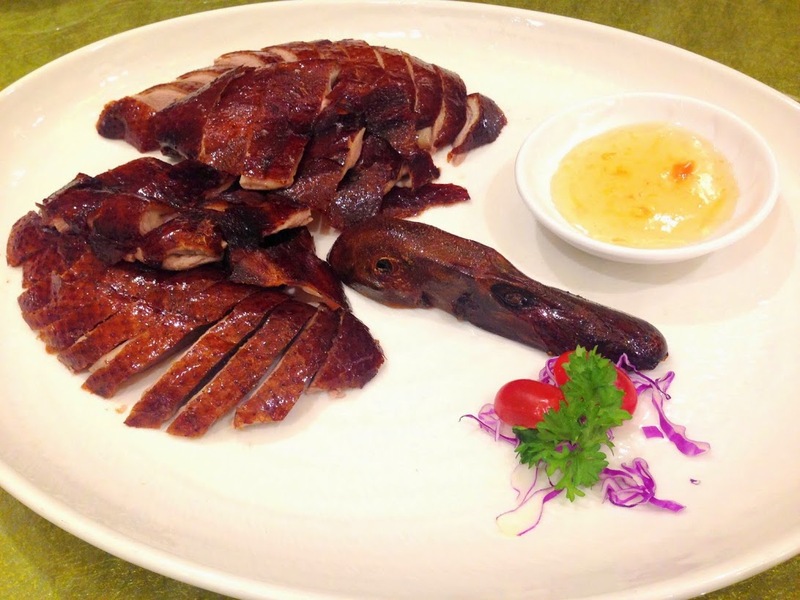 That Royal Prosperity Salmon Yu Shen will certainly be an enjoyable meal for kids and adults alike, and that Royal Smoked Duck looks mouthwatering. Thanks for sharing your great find for the Chinese New Year! Thank you for visiting the site too.